Click the button below to add the Dawes XC18 HT 2017 Mountain Bike to your wish list. 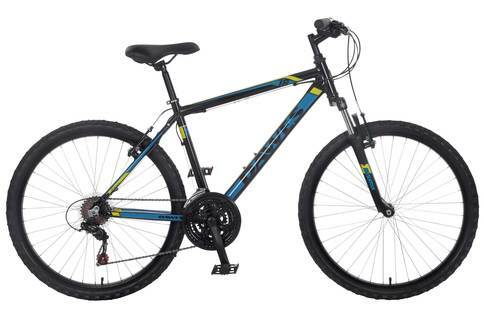 Enter the world of Mountain Biking with the new Dawes XC18 HT 2015 Mountain Bike. Offering a wrist saving, trail taming SR Suntour suspension fork, 18 speed Shimano gearing and nimble alloy frame. Perfect for those wanting to try their hand at getting muddy, without breaking the bank.